I copy this sim from http://9tut.com. And I created a Packet Tracer 5.1 pka file to verify the answers, because I was confused with question 3 (I am still confused now). 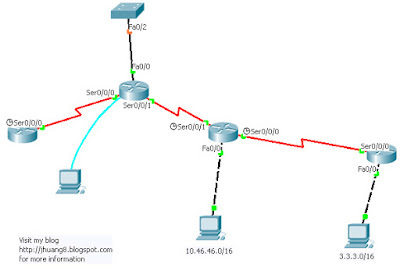 You can download this pka file from here: http://www.valit.ca/lab/ccna_access_list_sim.zip. I hope it can help you to understand this sim. Please use Packet Tracer 5.1, the pka file seems not woking in version 5.0. Click the console connected to Router and issue the appropriate commands to answer the questions. 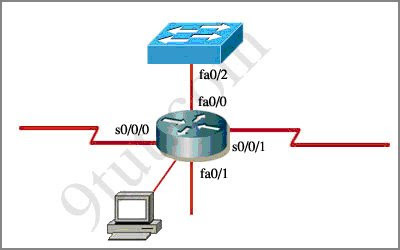 B - Change the ip access-group command on fa0/0 from "in" to "out"
C - Remove access-group 106 in from interface fa0/0 and add access-group 115 in. B - Telnet and ping would work but routing updates would fail. I assigned 10.46.46.0 and 3.3.3.0 to 2 PCs, so “A - No host could connect to Router through s0/0/1” is incorrect; In PC 10.46.46.0 and 3.3.3.0, I can telnet and ping 10.45.45.1, I turn one of the routers off and then turn it on, the EIGRP routing updates seem no problem at all! It seems none of the answers are correct. You can download the pka file and play around, if you find the right answer, please let me know.